The latest winners of the European Prizes for Literature, each worth â‚¬5,000, were announced at London Book Fair yesterday. Phil Klay has won the Fiction award for his book Redeployment from The Penguin Press/Penguin Group (USA). Evan Osnos has won the Nonfiction award for Age of Ambition: Chasing Fortune, Truth, and Faith in the New China from Farrar, Straus and Giroux. Louise Gluck won the Poetry award for Faithful and Virtuous Night from Farrar, Strauss and Giroux. The Young Peopleâ€™s Literature award went to Jacqueline Woodson for Brown Girl Dreaming from Roaring Brook Press/Macmillan. 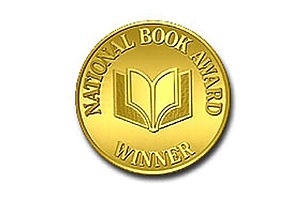 via National Book Award Winners for 2014 – GalleyCat. Hugo winners, 2011 â€“ Boing Boing.